We’ve told you several ways to get the version of Windows you’re using as well as ways to find out if you have 64-bit or 32-bit Windows and how much RAM is installed on your system. Today, we’re going to show you another easy way to get all this information with just a couple clicks. That’s it. As you can see (below) you get a lot of great info in one place! 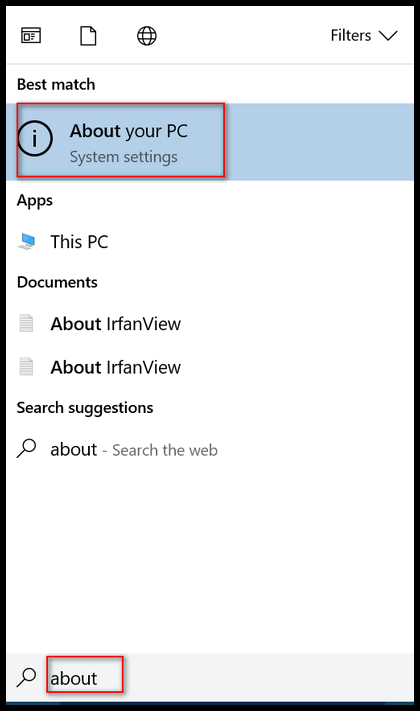 Here’s how to find out if you have most recent build. First, what the heck does a “build” mean. 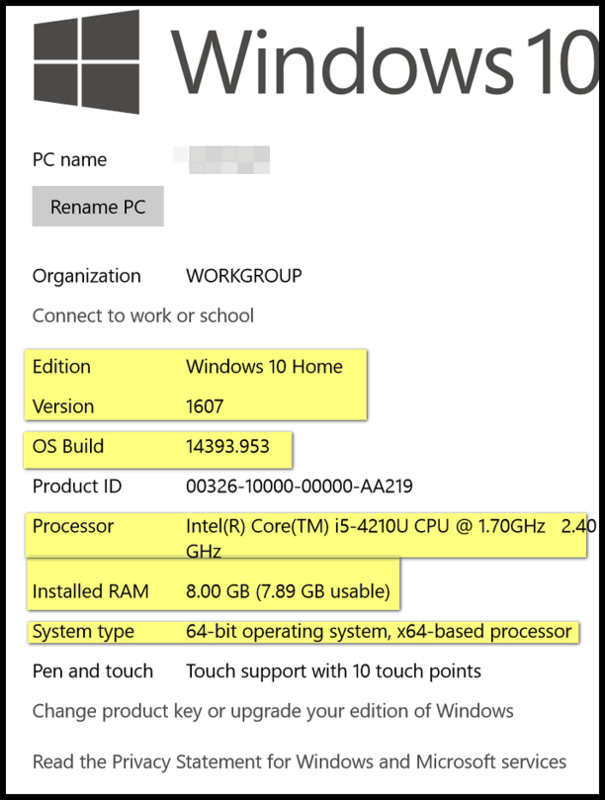 With Windows 10 there’s a version number (as of this writing the current version is 1607 – also called The Anniversary Edition), and each update or change to that version is called a build, and each build has a number. When Windows releases a new “version” of Windows it will get a new version number and updates to that version will be called builds. So, how do you know if you have the latest version and build of Windows? Once you know the version and build of Windows 10 you’re using (see our prior tip “A Quick Way to Get Your Windows Version & More”, visit this Microsoft page. The version and build numbers are listed with the current version and build at the top. 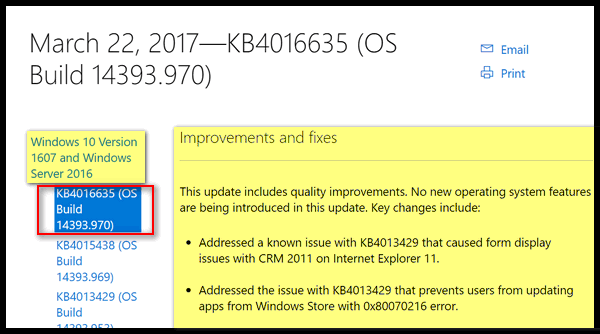 As of today, March 30, 2017, the current version is 1607 (Anniversary Edition) and the current build number 14393.970. But wait, there’s more. When you’re on that page, if you click on the build number you’ll see what was changed with that build, and you’ll see what problems some users have reported with that particular build. So, if you have problems with a Windows update, you’ll get all the details there. According to Microsoft, there are no known problems with this build. If there were, you would see them listed below the “Improvements and fixes”. Once again, you can find all this info on this Microsoft page. I discovered I was two builds behind. Should I be updating these two before the Creators Update next Tuesday.